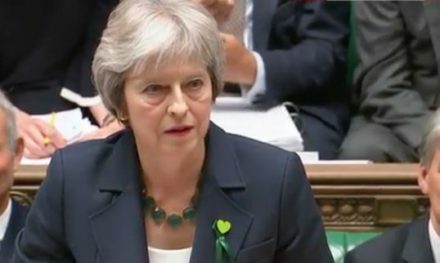 May’s deal is set to be voted down next week. But what about the second try? It’s a Brexit chocka day in parliament, as MPs kick off with questions to DExEU. They will be querying small matters such as, er, how the country will function after Brexit, with Rupa Huq asking about the volume of new legislation required in the event of ‘no deal’ and Diana Johnson reminding the government of that long-awaited white paper on immigration. Next, it’s Business of the House Questions, when Speaker Bercow and Andrea Leadsom show everyone how much they dislike each other. Then it’s onto Day Three of the Brexit debate, which frankly is becoming dull already thanks to extremely lacklustre speeches that make you wonder whether Tory backbenchers are aware they are taking part in a historic debate. C’mon, give it some welly lads. There are rumours flying around Westminster that No10 is considering an amendment that would guarantee MPs a vote on whether to enter the backstop, but Steve Baker and the DUP are not convinced. It wouldn’t be binding, they point out. (“If voting made a difference, they wouldn’t let us do it.”) Ultimately, it’s clear that whatever tricks are tried, the deal won’t be passing on the first go. The question is whether a Tory Brexit deal can get MPs’ approval on the second attempt, and which Labour MPs would be willing to help push it through. Buzzfeed reports that Momentum has drawn up a list of 20 possibles, from Caroline Flint to Sarah Champion, who will presumably come under particular pressure from its campaign votedownthedeal.co.uk.